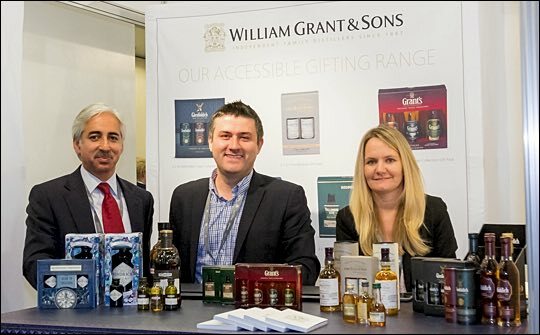 “The inflight channel is a priority for William Grant & Sons, although it represents a small percentage of the global travel retail business – and is often a rather maligned channel – we do believe that it offers opportunities for incremental sales and brand building,” explains De Almeida. WGS has developed a number of unique gifting offers that are exclusive to travel retail and perfect for airlines. These include The Glenfiddich 3 x 5cl, Tullamore Dew 3 x 5cl and Hendrick’s 2 x 5cl packs. “We are very keen to engage more closely with the airline channel, not only to drive our gifting offer but also to look at the brand building opportunities via pouring in the lounge and inflight. Rajiv Bhatia, director for WGS Middle East, Gulf and Indian Subcontinent, is working with a number of key airlines including Aer Lingus, Air India, Emirates, Etihad, Korean Air, Lufthansa, Middle East Airlines and Qatar Airways. “We are already pouring on Air India, Aer Lingus, Emirates and Qatar and this – plus the touch-points available within the airline lounges – creates excellent opportunities for interacting and engaging with key customers prior to the sales offer. De Almeida says the ARC gave the company a useful opportunity to further explore the mechanics of the inflight retail channel – and the airline’s approach to it. “It was an interesting exercise and, through our sponsorship of the Best Airline for Inflight Retail award and of the pre and after dinner Gala drinks, gave WGS excellent brand exposure and profile. “Bhatia and I had some interesting conversations and look forward to taking these to the next stage in coming weeks. For us it is not just about the product but also the associated experience which we can offer the consumer. WGS sponsored the ARC Best Airline for Inflight Retail Award (won by KLM) and the Gala pre-dinner and after-dinner cocktails with Monkey Shoulder and Hendrick’s Gin.